ONLY 22K MILES! Odometer is 19421 miles below market average! Priced below KBB Fair Purchase Price! CARFAX One-Owner. Clean CARFAX. 2016 Subaru Legacy 2.5i, in Crystal Black Silica and Slate Black interior, with low miles. Backup camera, Remote keyless entry, AM/FM/MP3 w/ SiriusXM® Satellite, Bluetooth® Hands-Free Phone System, USB, Tilt/Telescoping Steering Wheel w/ Cruise & Audio controls, Air-conditioning, POWER: WINDOWS/LOCKS/MIRRORS, Cruise control, Symmetrical All Wheel Drive with Vehicle Dynamics Control. 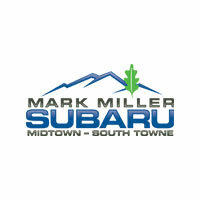 ***7 YEAR/100,000 MILE CERTIFIED POWERTRAIN WARRANTY*** Subaru Certified Pre-Owned Details: * Vehicle History * Warranty Deductible: $0 * 152 Point Inspection * Powertrain Limited Warranty: 84 Month/100,000 Mile (whichever comes first) from original in-service date * SiriusXM 3-Month trial subscription, $500 Owner Loyalty coupon & 1 year trial subscription to STARLINK * Roadside Assistance * Transferable Warranty 26/36 City/Highway MPG Awards: * ALG Residual Value Awards * 2016 IIHS Top Safety Pick+ * 2016 KBB.com 10 Best All-Wheel Drive Vehicles Under $25,000 * 2016 KBB.com 10 Best Sedans Under $25,000 * 2016 KBB.com Best Resale Value Awards * 2016 KBB.com Brand Image Awards Our Principles of Love Promise: *Promise Pricing, No Negotiation *Non-Commissioned, Pressure Free, Efficient & Helpful Staff *48HR Money Back Guarantee *Eco Friendly Dealerships *Active Community Involvement *Open & Transparent Offices *Trade-In Guarantee: We Buy Even if You Don't. Proudly serving the Salt Lake and surrounding areas, including: Bountiful, Logan, Ogden, Park City, Provo and Tooele. ONLY 14K MILES! Priced below KBB Fair Purchase Price! CARFAX One-Owner. ***CLEAN CARFAX***, ***NO ACCIDENTS ON CARFAX*** 2016 Subaru Impreza Premium, in Quartz Blue Pearl and Black interior, with low miles. All Weather (Heated: Seats, Windshield, and Mirrors), Rear Camera, Subaru Multimedia AM/FM/MP3 w/ SiriusXM® Satellite, Bluetooth® Hands-Free Phone System, USB, Steering wheel mounted audio controls, Remote keyless entry, Tilt & Telescoping Steering Wheel, Alloy Wheels, Symmetrical All Wheel Drive with Vehicle Dynamics Control and Traction Control. ***7 YEAR/100,000 MILE CERTIFIED POWERTRAIN WARRANTY*** Subaru Certified Pre-Owned Details: * Transferable Warranty * 152 Point Inspection * Warranty Deductible: $0 * Vehicle History * Powertrain Limited Warranty: 84 Month/100,000 Mile (whichever comes first) from original in-service date * SiriusXM 3-Month trial subscription, $500 Owner Loyalty coupon & 1 year trial subscription to STARLINK * Roadside Assistance Our Principles of Love Promise: *Promise Pricing, No Negotiation *Non-Commissioned, Pressure Free, Efficient & Helpful Staff *48HR Money Back Guarantee *Eco Friendly Dealerships *Active Community Involvement *Open & Transparent Offices *Trade-In Guarantee: We Buy Even if You Don't. 28/37 City/Highway MPG Awards: * 2016 IIHS Top Safety Pick+ * 2016 KBB.com Best Resale Value Awards * 2016 KBB.com Brand Image Awards Proudly serving the Salt Lake and surrounding areas, including: Bountiful, Logan, Ogden, Park City, Provo and Tooele. LOADED! ***NAVIGATION***, ***EYESIGHT***, ***MOONROOF***. Priced below KBB Fair Purchase Price! Odometer is 8161 miles below market average! Clean CARFAX. Adaptive Cruise, Pre-Collision Braking, Rear Cross Traffic Alert & Reverse Automatic Braking, Blindspot Detection & Lane Keep Assist, High Beam Assist, Power Rear Hatch, Subaru STARLINK® Multimedia Navigation System, Harman Kardon® Sound System w/ SiriusXM® Satellite, Bluetooth® Hands-Free Phone System, Aha Infotainment, Backup camera, Dual Zone Auto Climate Control, Steering wheel mounted audio controls, All Weather (Heated: Front Power Seats, Rear Seats, Windshield, and Mirrors), Symmetrical All Wheel Drive with Vehicle Dynamics Control. Our Principles of Love Promise: *Promise Pricing, No Negotiation *Non-Commissioned, Pressure Free, Efficient & Helpful Staff *48HR Money Back Guarantee *Eco Friendly Dealerships *Active Community Involvement *Open & Transparent Offices *Trade-In Guarantee: We Buy Even if You Don't. Subaru Certified Pre-Owned Details: * Vehicle History * 152 Point Inspection * Transferable Warranty * Powertrain Limited Warranty: 84 Month/100,000 Mile (whichever comes first) from original in-service date * SiriusXM 3-Month trial subscription, $500 Owner Loyalty coupon & 1 year trial subscription to STARLINK * Roadside Assistance * Warranty Deductible: $0 26/36 City/Highway MPG Awards: * 2015 KBB.com 10 Best Sedans Under $25,000 * 2015 KBB.com 10 Best All-Wheel-Drive Vehicles Under $25,000 * 2015 KBB.com Best Resale Value Awards * 2015 KBB.com Brand Image Awards * 2015 KBB.com 5-Year Cost to Own Awards Proudly serving the Salt Lake and surrounding areas, including: Bountiful, Logan, Ogden, Park City, Provo and Tooele. ONLY 8K MILES! Odometer is 590 miles below market average! Priced below KBB Fair Purchase Price! CARFAX One-Owner. Clean CARFAX. ***NO ACCIDENTS ON CARFAX*** 2018 Subaru Impreza 2.0i, in Magnetite Gray & Black interior, with low miles. Apple CarPlay™ & Android™ Auto Integration, AM/FM/MP3 w/ SiriusXM® Satellite, Bluetooth® Hands-Free Phone System, USB, All Weather (Heated: Power Seats, Windshield, and Mirrors), Rear Camera, Steering wheel mounted audio controls, Remote keyless entry, Symmetrical All Wheel Drive with X-Mode & Vehicle Dynamics Control. ***7 YEAR/100,000 MILE CERTIFIED POWERTRAIN WARRANTY*** Subaru Certified Pre-Owned Details: * Transferable Warranty * Warranty Deductible: $0 * Vehicle History * SiriusXM 3-Month trial subscription, $500 Owner Loyalty coupon & 1 year trial subscription to STARLINK * 152 Point Inspection * Powertrain Limited Warranty: 84 Month/100,000 Mile (whichever comes first) from original in-service date * Roadside Assistance 28/37 City/Highway MPG Our Principles of Love Promise: *Promise Pricing, No Negotiation *Non-Commissioned, Pressure Free, Efficient & Helpful Staff *48HR Money Back Guarantee *Eco Friendly Dealerships *Active Community Involvement *Open & Transparent Offices *Trade-In Guarantee: We Buy Even if You Don't. Proudly serving the Salt Lake and surrounding areas, including: Bountiful, Logan, Ogden, Park City, Provo and Tooele. ONLY 19K MILES! Odometer is 3339 miles below market average! CARFAX One-Owner. ***CLEAN CARFAX***, ***NO ACCIDENTS ON CARFAX*** 2016 Subaru Impreza 2.0i Sport Premium, in Dark Blue Metallic and Ivory Sport interior, with low miles. 5 SPEED MANUAL, Backup camera, Remote keyless entry, AM/FM/MP3 w/ SiriusXM® Satellite, Bluetooth® Hands-Free Phone System, USB, Tilt/Telescoping Steering Wheel w/ Cruise & Audio controls, Air-conditioning, POWER: WINDOWS/LOCKS/MIRRORS, Cruise control, Symmetrical All Wheel Drive with Vehicle Dynamics Control. ***7 YEAR/100,000 MILE CERTIFIED POWERTRAIN WARRANTY*** Subaru Certified Pre-Owned Details: * Transferable Warranty * 152 Point Inspection * SiriusXM 3-Month trial subscription, $500 Owner Loyalty coupon & 1 year trial subscription to STARLINK * Vehicle History * Warranty Deductible: $0 * Powertrain Limited Warranty: 84 Month/100,000 Mile (whichever comes first) from original in-service date * Roadside Assistance 24/33 City/Highway MPG Awards: * 2016 IIHS Top Safety Pick+ * 2016 KBB.com Brand Image Awards * 2016 KBB.com Best Resale Value Awards Our Principles of Love Promise: *Promise Pricing, No Negotiation*Non-Commissioned, Pressure Free, Efficient & Helpful Staff *48HR Money Back Guarantee *Eco Friendly Dealerships *Active Community Involvement *Open & Transparent Offices *Trade-In Guarantee: We Buy Even if You Don't. Proudly serving the Salt Lake and surrounding areas, including: Bountiful, Logan, Ogden, Park City, Provo and Tooele. ***EYESIGHT***. Clean CARFAX. 2019 Subaru Impreza 2.0i, in Crystal White Pearl and Ivory interior, with only 2K miles. Adaptive Cruise, Pre-Collision Braking, Backup camera, Remote keyless entry, AM/FM/MP3 w/ SiriusXM® Satellite, Bluetooth® Hands-Free Phone System, USB, Tilt/Telescoping Steering Wheel w/ Cruise & Audio controls, Air-conditioning, POWER: WINDOWS/LOCKS/MIRRORS, Cruise control, Symmetrical All Wheel Drive with Vehicle Dynamics Control. ***7 YEAR/100,000 MILE CERTIFIED POWERTRAIN WARRANTY*** Subaru Certified Pre-Owned Details: * Roadside Assistance * Vehicle History * 152 Point Inspection * Transferable Warranty * Warranty Deductible: $0 * Powertrain Limited Warranty: 84 Month/100,000 Mile (whichever comes first) from original in-service date * SiriusXM 3-Month trial subscription, $500 Owner Loyalty coupon & 1 year trial subscription to STARLINK 28/38 City/Highway MPG Our Principles of Love Promise: *Promise Pricing, No Negotiation *Non-Commissioned, Pressure Free, Efficient & Helpful Staff *48HR Money Back Guarantee *Eco Friendly Dealerships *Active Community Involvement *Open & Transparent Offices *Trade-In Guarantee: We Buy Even if You Don't. Proudly serving the Salt Lake and surrounding areas, including: Bountiful, Logan, Ogden, Park City, Provo and Tooele. ***NAVIGATION***, HARMAN KARDON® SOUND! ***PANORAMIC MOONROOF*** CARFAX One-Owner. Navigation System w/ Harman Kardon® 440W Amp & Speaker System, Subaru Starlink 7.0" Multimedia Nav System, Smartphone Integration, Panoramic Moonroof, Power Seat, Dual Auto Climate Control, All Weather (Heated: Seats, Windshield, and Mirrors), Rear Camera, AM/FM/MP3 w/ SiriusXM® Satellite, Bluetooth® Hands-Free Phone System, USB, Steering wheel mounted audio controls, Remote keyless entry, Tilt & Telescoping Steering Wheel, Symmetrical All Wheel Drive with Vehicle Dynamics Control. ***7 YEAR/100,000 MILE CERTIFIED POWERTRAIN WARRANTY*** Our Principles of Love Promise: *Promise Pricing, No Negotiation *Non-Commissioned, Pressure Free, Efficient & Helpful Staff *48HR Money Back Guarantee *Eco Friendly Dealerships *Active Community Involvement *Open & Transparent Offices *Trade-In Guarantee: We Buy Even if You Don't. Subaru Certified Pre-Owned Details: * Transferable Warranty * Warranty Deductible: $0 * Roadside Assistance * SiriusXM 3-Month trial subscription, $500 Owner Loyalty coupon & 1 year trial subscription to STARLINK * 152 Point Inspection * Powertrain Limited Warranty: 84 Month/100,000 Mile (whichever comes first) from original in-service date * Vehicle History 24/32 City/Highway MPG Awards: * 2016 IIHS Top Safety Pick+ * ALG Residual Value Awards * 2016 KBB.com 10 Best All-Wheel Drive Vehicles Under $25,000 * 2016 KBB.com Best Resale Value Awards * 2016 KBB.com 10 Best SUVs Under $25,000 * 2016 KBB.com Brand Image Awards Proudly serving the Salt Lake and surrounding areas, including: Bountiful, Logan, Ogden, Park City, Provo and Tooele. ONLY 27K MILES! SUBARU CERTIFIED Priced below KBB Fair Purchase Price! Odometer is 17965 miles below market average! CARFAX One-Owner. Clean CARFAX. 2016 Subaru Outback Premium, in Carbide Gray Metallic and Slate Black interior, with low miles. Power Seat, Dual Auto Climate Control, Rear Camera, All Weather (Heated: Seats, Windshield, and Mirrors), Fog Lamps, Fully Integrated Roof Rack, Subaru Multimedia AM/FM/MP3 w/ SiriusXM® Satellite, Bluetooth® Hands-Free Phone System, USB, Steering wheel mounted audio controls, Remote keyless entry, Tilt & Telescoping Steering Wheel, Alloy Wheels, Symmetrical All Wheel Drive with X-Mode, Vehicle Dynamics Control and Traction Control. ***7 YEAR/100,000 MILE CERTIFIED POWERTRAIN WARRANTY*** Subaru Certified Pre-Owned Details: * Vehicle History * Warranty Deductible: $0 * Transferable Warranty * SiriusXM 3-Month trial subscription, $500 Owner Loyalty coupon & 1 year trial subscription to STARLINK * 152 Point Inspection * Roadside Assistance * Powertrain Limited Warranty: 84 Month/100,000 Mile (whichever comes first) from original in-service date 25/33 City/Highway MPG Awards: * 2016 IIHS Top Safety Pick+ * 2016 KBB.com 16 Best Family Cars * 2016 KBB.com 10 Most Comfortable Cars Under $30,000 * 2016 KBB.com 10 Best All-Wheel Drive Vehicles Under $25,000 * 2016 KBB.com Brand Image Awards * 2016 KBB.com Best Resale Value Awards Our Principles of Love Promise: *Promise Pricing, No Negotiation *Non-Commissioned, Pressure Free, Efficient & Helpful Staff *48HR Money Back Guarantee *Eco Friendly Dealerships *Active Community Involvement *Open & Transparent Offices *Trade-In Guarantee: We Buy Even if You Don't. Proudly serving the Salt Lake and surrounding areas, including: Bountiful, Logan, Ogden, Park City, Provo and Tooele. SUBARU CERTIFIED! Priced below KBB Fair Purchase Price! CARFAX One-Owner. Clean CARFAX. 2016 Subaru WRX, in Ice Silver Metallic and Carbon Black interior. Active Torque Vectoring, 6 Speed Manual (proper transmission), Subaru Multimedia AM/FM/MP3 w/ SiriusXM® Satellite, Bluetooth® Hands-Free Phone System, USB, Rear Camera, Steering wheel mounted audio controls, Remote keyless entry, Alloy wheels, Symmetrical All Wheel Drive with Vehicle Dynamics Control. ***7 YEAR/100,000 MILE CERTIFIED POWERTRAIN WARRANTY*** Our Principles of Love Promise: *Promise Pricing, No Negotiation *Non-Commissioned, Pressure Free, Efficient & Helpful Staff *48HR Money Back Guarantee *Eco Friendly Dealerships *Active Community Involvement *Open & Transparent Offices *Trade-In Guarantee: We Buy Even if You Don't. Subaru Certified Pre-Owned Details: * Roadside Assistance * Warranty Deductible: $0 * Powertrain Limited Warranty: 84 Month/100,000 Mile (whichever comes first) from original in-service date * 152 Point Inspection * SiriusXM 3-Month trial subscription, $500 Owner Loyalty coupon & 1 year trial subscription to STARLINK * Vehicle History * Transferable Warranty 20/27 City/Highway MPG Awards: * 2016 IIHS Top Safety Pick+ * 2016 KBB.com Best Resale Value Awards * 2016 KBB.com Brand Image Awards Proudly serving the Salt Lake and surrounding areas, including: Bountiful, Logan, Ogden, Park City, Provo and Tooele. ***NAVIGATION***, ***MOONROOF***! Priced below KBB Fair Purchase Price! Odometer is 1083 miles below market average! CARFAX One-Owner. ***CLEAN CARFAX***, ***NO ACCIDENTS ON CARFAX*** 2016 Subaru Crosstrek Limited, in Crystal White Pearl and Black Leather, with only 33K miles. Navigation/Moonroof Package w//Keyless Access Push-Button Start, Auto Climate Control, All Weather (Heated: Power Seats, Windshield, and Mirrors), SiriusXM® Satellite, Bluetooth® Hands-Free Phone System, Auto-Dimming Rear View Compass Mirror w/Homelink®, USB, Steering wheel mounted audio controls, Backup camera, Symmetrical All Wheel Drive with Vehicle Dynamics Control. ***7 YEAR/100,000 MILE CERTIFIED POWERTRAIN WARRANTY*** Subaru Certified Pre-Owned Details: * Roadside Assistance * Vehicle History * Warranty Deductible: $0 * SiriusXM 3-Month trial subscription, $500 Owner Loyalty coupon & 1 year trial subscription to STARLINK * Transferable Warranty * Powertrain Limited Warranty: 84 Month/100,000 Mile (whichever comes first) from original in-service date * 152 Point Inspection 26/34 City/Highway MPG Awards: * 2016 IIHS Top Safety Pick+ * 2016 KBB.com 10 Best All-Wheel Drive Vehicles Under $25,000 * 2016 KBB.com Brand Image Awards * 2016 KBB.com Best Resale Value Awards Our Principles of Love Promise: *Promise Pricing, No Negotiation *Non-Commissioned, Pressure Free, Efficient & Helpful Staff *48HR Money Back Guarantee *Eco Friendly Dealerships *Active Community Involvement *Open & Transparent Offices *Trade-In Guarantee: We Buy Even if You Don't. Proudly serving the Salt Lake and surrounding areas, including: Bountiful, Logan, Ogden, Park City, Provo and Tooele. ***NEW TIRES*** just in time for springtime fun! LOADED! ***EYESIGHT***, ***NAVIGATION***, ***MOONROOF***! ONLY 26K MILES! CARFAX One-Owner. Clean CARFAX. 2016 Subaru Legacy 3.6R, in Crystal White Pearl and Slate Black Leather, with low miles. Adaptive Cruise, Pre-Collision Braking, Rear Cross Traffic Alert & Reverse Automatic Braking, Blindspot Detection & Lane Keep Assist, High Beam Assist, Subaru STARLINK® Multimedia Navigation System, Harman Kardon® Sound System w/ SiriusXM® Satellite, Bluetooth® Hands-Free Phone System, Aha Infotainment, Backup camera, Dual Zone Auto Climate Control, Steering wheel mounted audio controls, All Weather (Heated: Front Power Seats, Rear Seats, Windshield, and Mirrors), Auto-Dimming Rear View Compass Mirror® w/Homelink, Symmetrical All Wheel Drive with Vehicle Dynamics Control. ***7 YEAR/100,000 MILE CERTIFIED POWERTRAIN WARRANTY*** Subaru Certified Pre-Owned Details: * Vehicle History * 152 Point Inspection * Roadside Assistance * Powertrain Limited Warranty: 84 Month/100,000 Mile (whichever comes first) from original in-service date * Warranty Deductible: $0 * Transferable Warranty * SiriusXM 3-Month trial subscription, $500 Owner Loyalty coupon & 1 year trial subscription to STARLINK Awards: * ALG Residual Value Awards * 2016 IIHS Top Safety Pick+ * 2016 KBB.com 10 Best All-Wheel Drive Vehicles Under $25,000 * 2016 KBB.com 10 Best Sedans Under $25,000 * 2016 KBB.com Best Resale Value Awards * 2016 KBB.com Brand Image Awards 20/29 City/Highway MPG Our Principles of Love Promise: *Promise Pricing, No Negotiation *Non-Commissioned, Pressure Free, Efficient & Helpful Staff *48HR Money Back Guarantee *Eco Friendly Dealerships *Active Community Involvement *Open & Transparent Offices *Trade-In Guarantee: We Buy Even if You Don't. Proudly serving the Salt Lake and surrounding areas, including: Bountiful, Logan, Ogden, Park City, Provo and Tooele.